Our planet Earth is far more impressive than we could even imagine. In our world, we have a variety of thing to see that are incredible. Even we humans who are the unique art of are best among all other creatures. There are many creatures that are unknown to most of us. There is immense beauty around the globe but one must have a camera eye to capture it and make the ordinary to interesting. The best photographs are the ones that retain their strength and impact over the years, regardless of the number of times they are viewed. These photographs are so amazing that will make your jaw drop. 1. 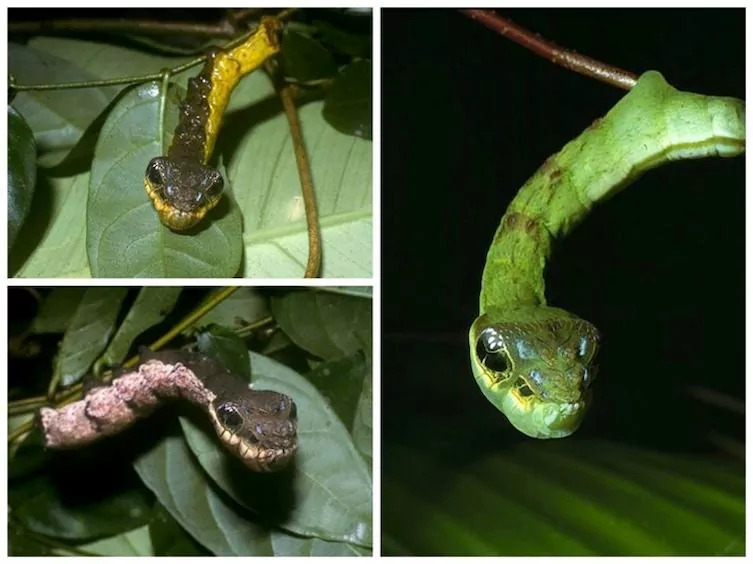 Caterpillars that look and act like snakes to ward off predators. 2. 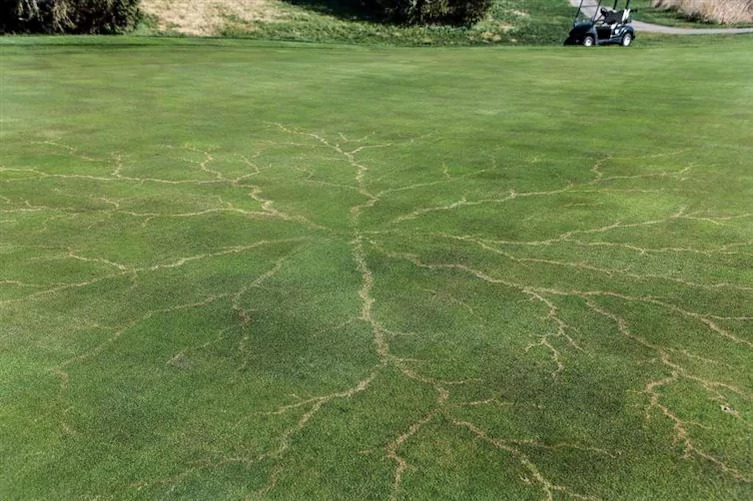 Hailstorm design on grass after struck by lightning. 3. A sphere that contains all the water of our planet. 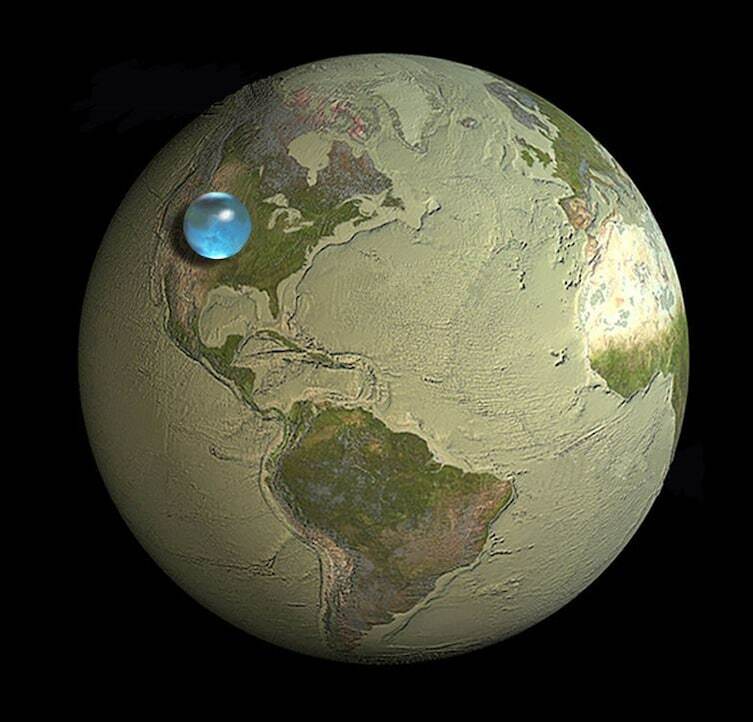 Estimated amount of water in the sphere of diameter 860 miles is 1,338,000,000km3 . 4. The effect of focal length on the scales of an object in photography. 5. 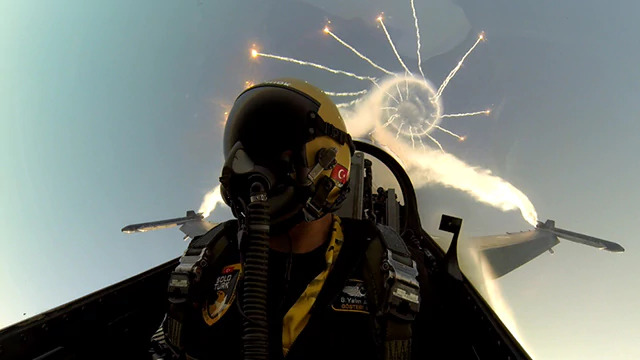 Barrel rolling an F-16 while firing off its defensive flares. 6. 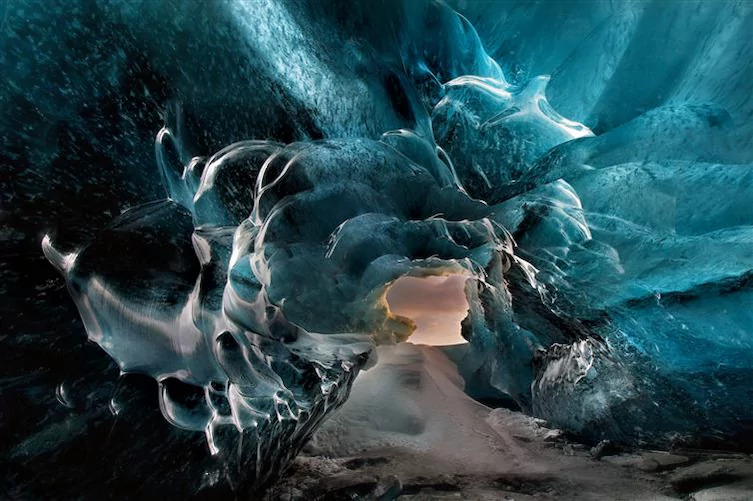 A beautiful ice cave in Iceland. 7. 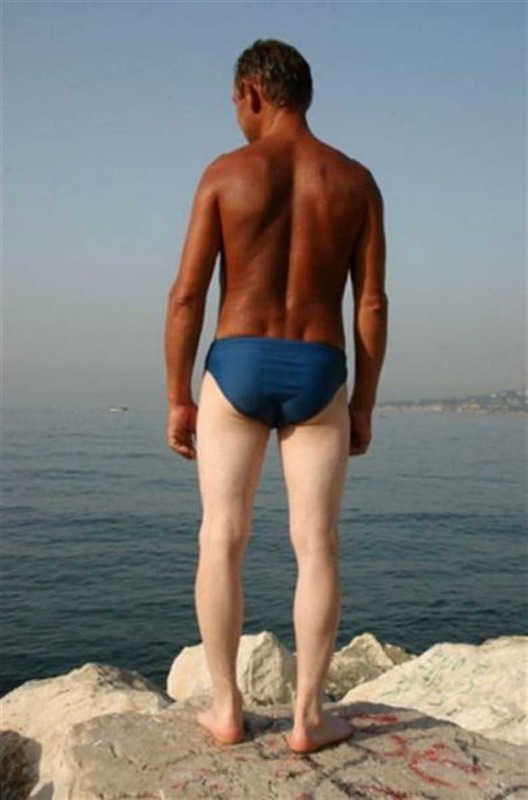 Tanned body due to hard work under the direct rays of the sun. 8. 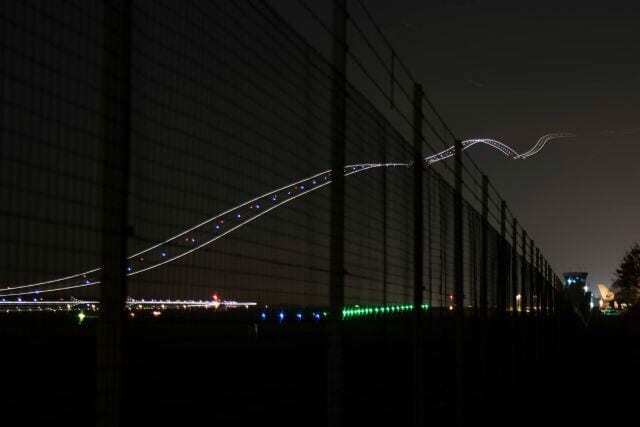 Rainbow road created in the sky when this plane takeoff. 9. 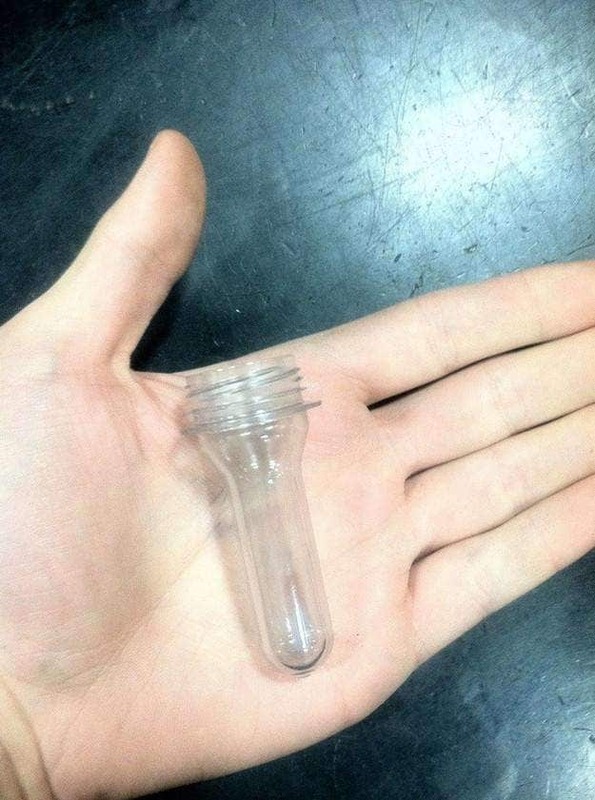 A water bottle shape and size before compressed air are added. 10. 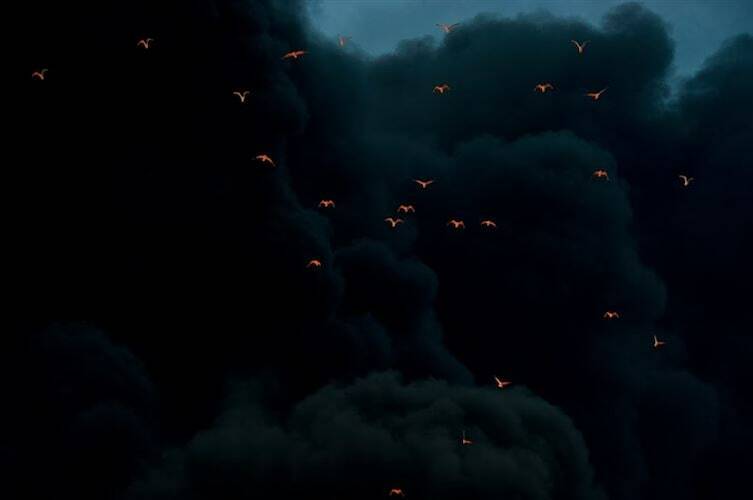 Fire reflecting off birds that are flying through the smoke. 11. Effect of bad posture on our body over time. 12. 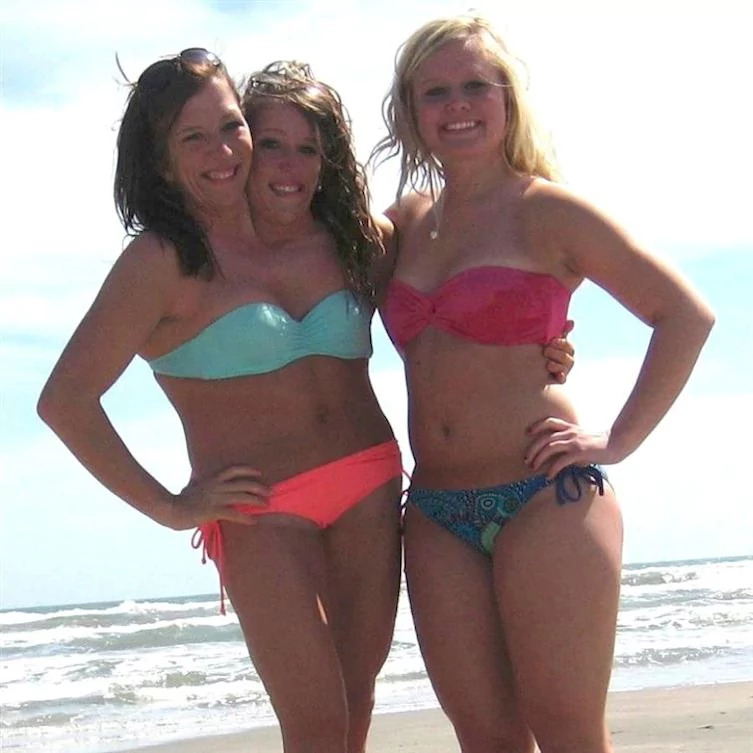 Twins joined at body having fun with friends at the beach. 13. 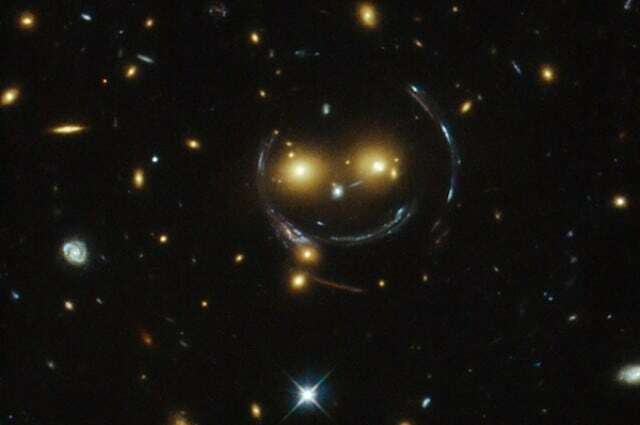 Smiley face captured by Hubble Telescope in space. This is only speculation but the bending light that helped to create this image could even mean that there is a black hole between that heavenly body and earth. 14. 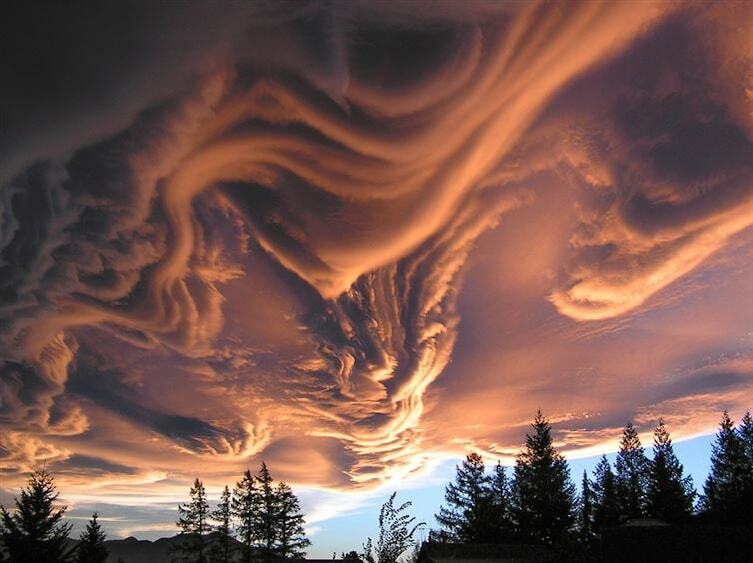 The undulations asperatus clouds appear ominous but have not been witnessed causing rain so they have only been proposed as a separate classification since 2009. 15. 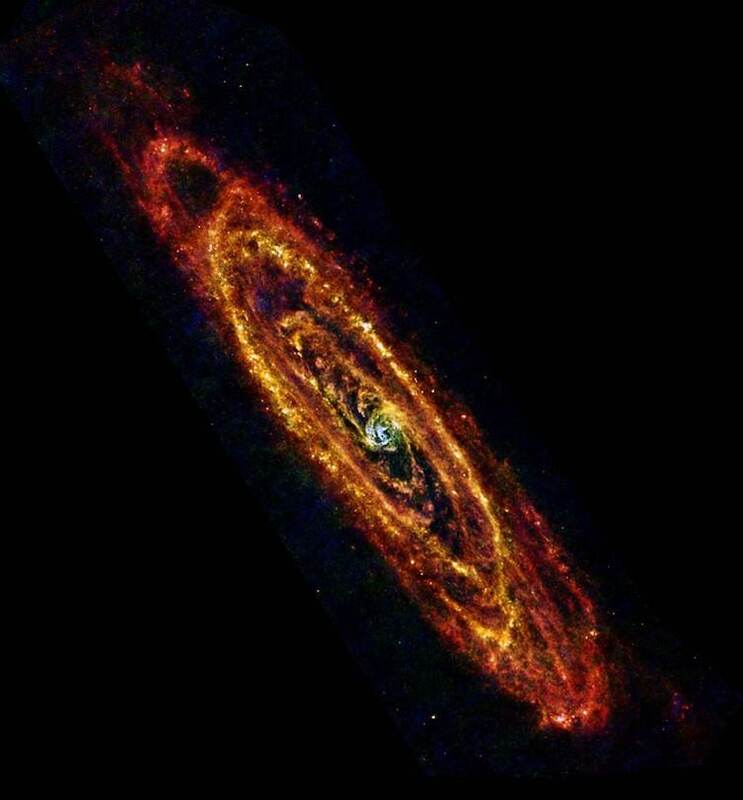 Andromeda is the Milky Way’s closest galaxy neighbour. It is assumed that both galaxies will merge roughly in 4,000,000,000 years. 16. The Dubai skyscrapers view at night through an immense fog. 17. 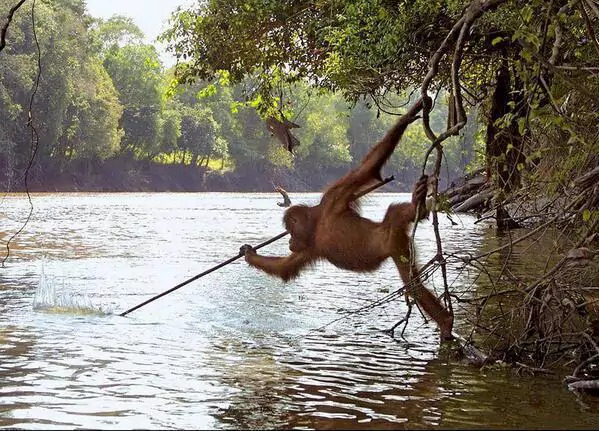 The Orangutan after releasing from the zoo began fishing after watching fishermen doing same in Borneo. 18. 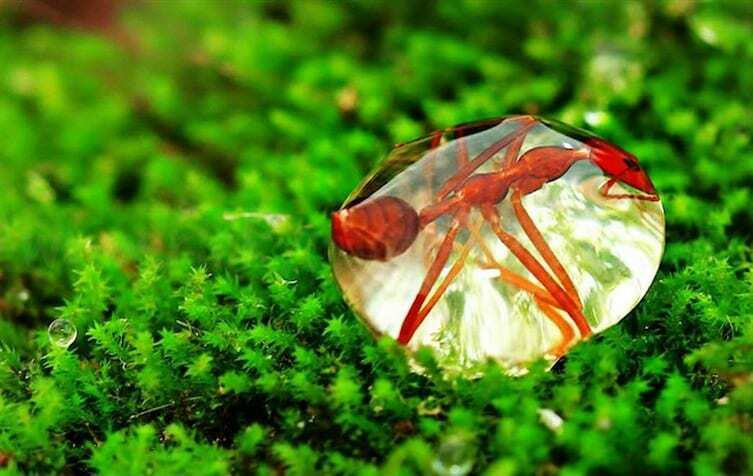 An ant stuck in a droplet of water due to surface tension. 19. 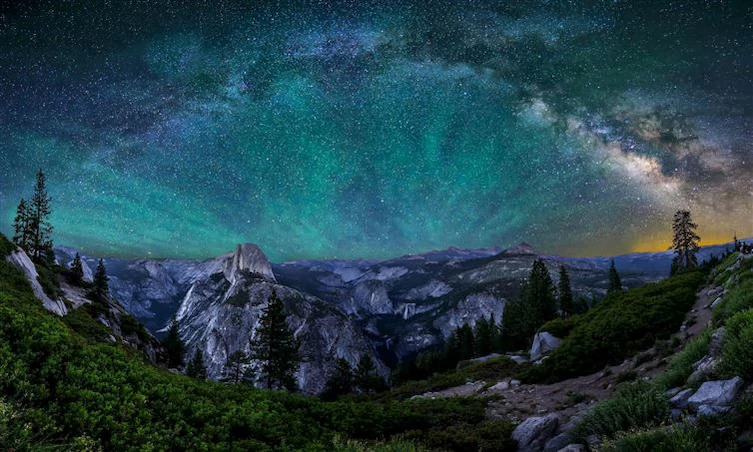 Amazing twinkling stars night scene from Yosemite National Park, U.S.